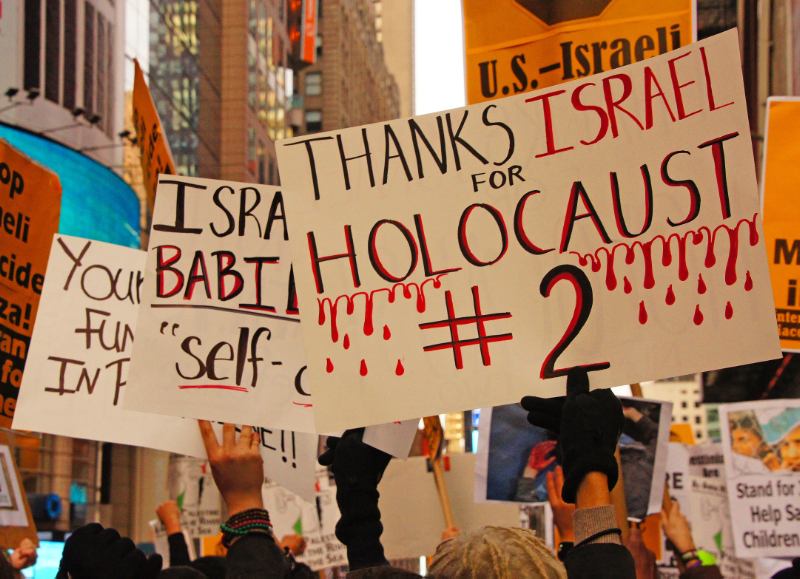 “I wanna go to Miami” used to be the favourite Jewish wine ….. now it’s “Why don’t they love our occupation and atrocities”? I told you yesterday that the ‘victim card’ was ready to be pulled out ….. well, here it is. But first, here’s how the vote went …. Voted for the resolution: Afghanistan, Algeria, Angola, Antigua and Barbuda, Argentina, Armenia, Austria, Azerbaijan, Bahrain, Bangladesh, Belarus, Belgium, Belize, Benin, Bhutan, Bolivia, Botswana, Brazil, Brunei, Burkina Faso, Burundi, Cambodia, Cape Verde, Central African Republic, Chad, Chile, China, Comoros, Costa Rica, Cuba, Cyprus, Denmark, Djibouti, Dominica, East Timor, Ecuador, Egypt, El Salvador, Equatorial Guinea, Eritrea, Ethiopia, Finland, France, Gabon, Gambia, Georgia, Ghana, Greece, Grenada, Guinea, Guinea-Bissau, Guyana, Honduras, Iceland, India, Indonesia, Iran, Iraq, Ireland, Italy, Ivory Coast, Jamaica, Japan, Jordan, Kazakhstan, Kenya, Kirghistan, Kiribati, Kuwait, Laos, Lebanon, Lesotho, Liberia, Libya, Liechtenstein, Luxembourg, Madagascar, Malaysia, Maldives, Mali, Malta, Mauritania, Mauritius, Mexico, Morocco, Mozambique, Myanmar, Namibia, Nepal, New Zealand, Nicaragua, Niger, Nigeria, North Korea, Norway, Oman, Pakistan, Peru, Philippines, Portugal, Qatar, Qatar, Russia, Russia, Sao Tome and Principe, Saudi Arabia, Senegal, Serbia, Seychelles, Sierra Leone, Solomon Islands, Somalia, South Africa, South Sudan, Spain, Sri Lanka, St. Kitts and Nevis St. Lucia, St. Vincent and the Grenadines, Sudan, Suriname, Swaziland, Sweden, Sweden, Switzerland, Switzerland, Syria, Tajikistan, Tanzania, Thailand, Costa Rica, Trinidad and Tobago, Tunisia, Turkey, Turkmenistan, Tuvalu, UAE, Uganda, Ukraine, Uruguay, Uzbekistan, Venezuela, Vietnam, Yemen, Yemen, Zambia, and Zimbabwe. Voted against the resolution: Canada, Czech Republic, Israel, Marshall Islands, Micronesia, Nauru, Palau, Panama, and the United States. Abstained: Albania, Andorra, Australia, Bahamas, Barbados, Bosnia/Herzegovina, Bulgaria, Cameroon, Colombia, Croatia, Dem. Rep. of Congo, Estonia, Fiji, Germany, Guatemala, Haiti, Hungary, Latvia, Lithuania, Malawi, Monaco, Mongolia, Montenegro, Netherlands, Papua New Guinea, Paraguay, Poland, Korea, Moldova, Romania, Rwanda, Samoa, San Marino, Singapore, Slovakia, Slovenia, Macedonia, Togo, Tonga, United Kingdom, and Vanuatu. As the vote approaches, more and more Western democracies are announcing that they will vote in favor of the resolution. “The situation is very serious. We are going to get hit and be almost completely alone,” a senior Foreign Ministry official said. At least 150 countries expected to vote in favor of recognizing Palestine as nonmember observer state at General Assembly; U.S., Canada to vote with Israel against resolution, Germany to abstain. The UN General Assembly is expected on Thursday to pass a historic resolution recognizing Palestine within the 1967 borders as a nonmember observer state. At least 150 countries are expected to vote in favor of the resolution. Israel will suffer a humiliating political defeat and find itself isolated along with the United States, Canada, Micronesia, the Marshall Islands and, at best, Germany and the Czech Republic. Eleven members of the European Union have announced their support for the Palestinian move: France, Spain, Cyprus, Portugal, Luxembourg, Finland, Denmark, Austria, Malta, Ireland and Greece. Norway and Switzerland, which are not members of the EU, have also declared their support. British Foreign Secretary William Hague told Parliament on Wednesday that Britain tended to support the Palestinian bid. But it needed public commitments that the Palestinian Authority would not take advantage of the resolution to act against Israel in the international court in The Hague and that it would commit to immediately renewing peace talks without preconditions. A source at the Foreign Ministry said Britain had not yet received such assurances but was continuing talks with the Palestinians. The Foreign Ministry believes that if the Palestinians provide the assurances the British are demanding, at least 20 EU countries will vote for the resolution. Germany and the Czech Republic, which had announced they would vote against the move, would then abstain instead. 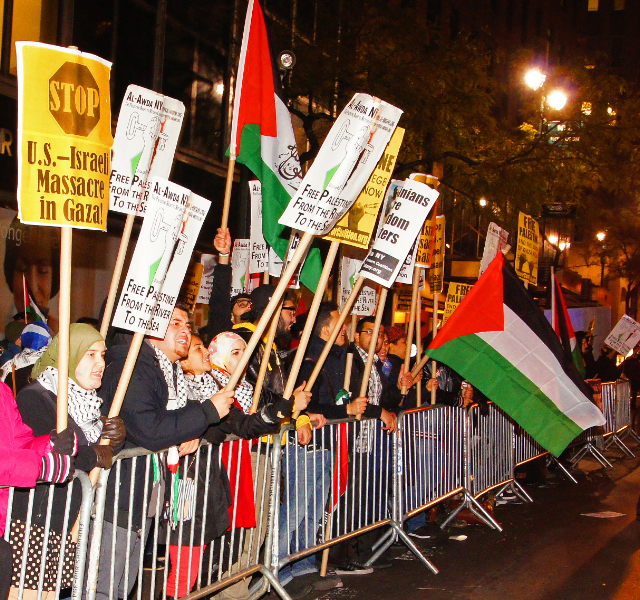 Meanwhile, the United States is opposing the Palestinian move to the last minute. Deputy Secretary of State William Burns and Middle East Special Envoy David Hale met yesterday with PA President Mahmoud Abbas at his hotel in New York; they told him of the U.S. opposition and asked him to reconsider. No Israeli leader wants this failure to stick to him. Netanyahu has released no official statement on the matter. Lieberman and Barak, who, ironically, will be in New York today on their way to the Saban Forum in Washington, will duck the cameras. Lieberman prefers not to speak to the General Assembly and has left it to UN ambassador Ron Prosor to face the music alone. The Foreign Ministry has almost completely ended its efforts to persuade countries to vote against the decision. It has focused on encouraging as many countries as possible to issue statements stressing that the move is merely symbolic and that permanent borders and other issues can only be decided in direct negotiations with Israel. Now Netanyahu and Lieberman can only do damage control, particularly political damage as far as their voters are concerned, and try to cover up their failures in dealing with the Palestinian issue over the past four years. “This evening there will be a celebration in Ramallah, but on Friday morning there will be no change on the ground,” the official said. Only the Security Council can accept a state as a full member of the United Nations. But exactly 65 years ago, on November 29, 1947, the UN General Assembly passed Resolution 181, which approved the partition of British Mandatory Palestine into a Jewish state and an Arab state. That night, thousands of Jews took to the streets in celebration. But the next morning, the British Mandate was still there. Still, the situation did change the next day. Attacks and violence between the local Jews and Arabs. Beyond international recognition of the Jewish right to a state, the UN resolution launched a process that six months later culminated in the declaration of statehood by Israel’s first prime minister, David Ben-Gurion. The Security Council accepted Israel as a full member of the international body only a year later, in May 1949. 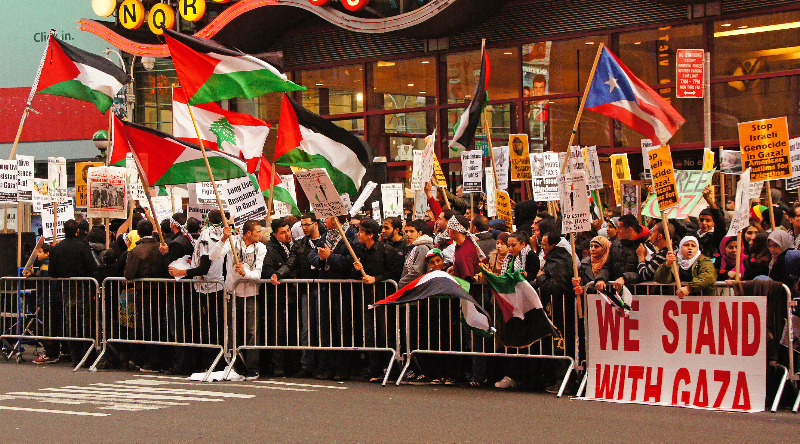 For the Palestinians, Thursday’s vote is another step on the road to independence. The diplomatic impasse, the radicalization in Likud and the fact the right is expected to form Israel’s next government do not bode well for the peace process. Israelis may only hope that unlike November 29, 1947, the conflict will remain on the diplomatic front and not deteriorate into a third intifada. Wonder’s representatives will claim that he did not know the nature of the group, the Friends of the Israel Defense Forces, and that he believes such a performance would be incongruent with his status as a UN “Messenger of Peace,” according to a source who has read email exchanges between Wonder’s representatives and organizers of the event. Wonder was scheduled to headline the Friends of the Israel Defense Forces annual gala in Los Angeles on Dec. 6. 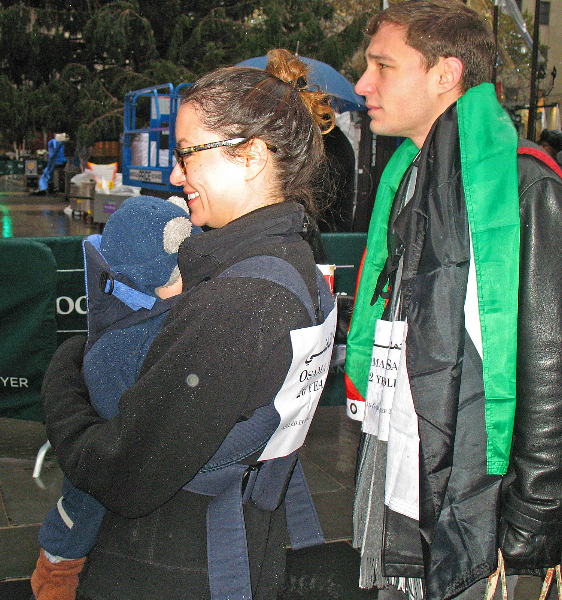 The event raises millions of dollars annually to support the Israeli military. An official of Friends of the IDF, reached at its Los Angeles office, had no comment. Wonder’s agent at Creative Artists Agency did not return a request for comment. The spokesman for the UN Secretary General also had no comment on the matter. The United Nations does not impose restrictions on its goodwill representatives. Wonder most recently performed at a UN concert commemoratiing its 67th anniversary. Elie Wiesel, the Nobele Peace Laureate and Holocaust memoirist who is also a staunch defender of Israel is also a UN Messenger of Peace. The petition was launched more than a day ago on the change.org website. Wonder performed at a 1998 gala honoring Israel’s 50th anniversary. Palestinian Doctor and Artist, Dr. Jazz produced the following before Stevie Wonder changed his mind …. it’s worth viewing for future musician’s blunders. We received the following release from Jews Say No! 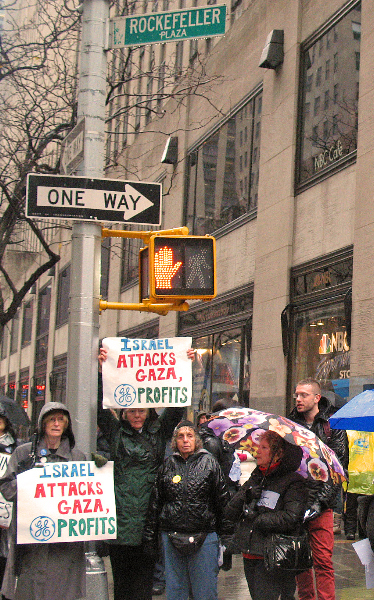 New York, NY, November 26, 2012: This morning, over 50 New Yorkers braved the chilly rain for a solemn march in front of the iconic General Electric Building at the heart of Rockefeller Plaza in commemoration of those killed by the assault on Gaza that ended in a cease fire on November 21st. 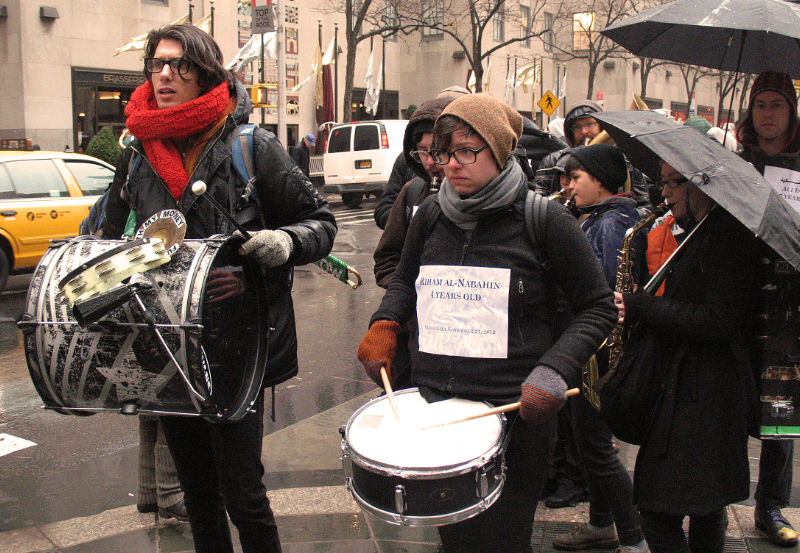 Surrounded by preparations for the holiday season, the protesters, accompanied by the haunting music of the Rude Mechanical Orchestra, read the names and ages of all the people killed in the assault in the mic check style popularized by the Occupy Movement. 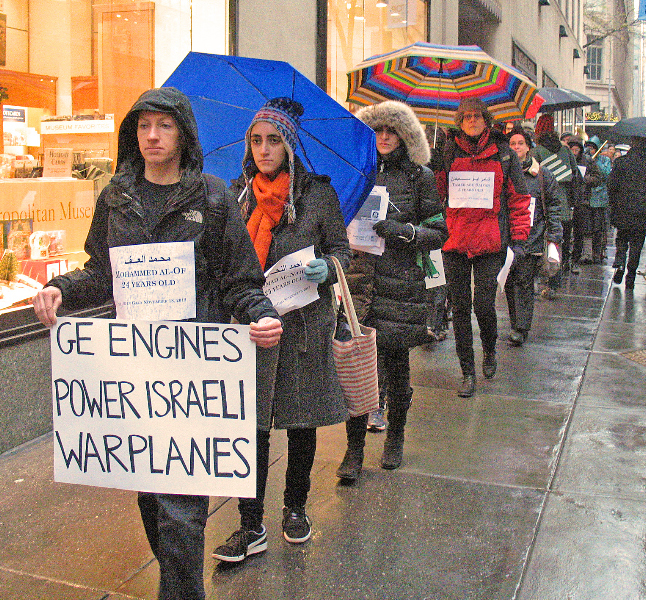 The protesters called for divestment from General Electric, which provides the Israeli military with the engines for the F-16s and Apache helicopters used in the recent aerial bombardments of Gaza. 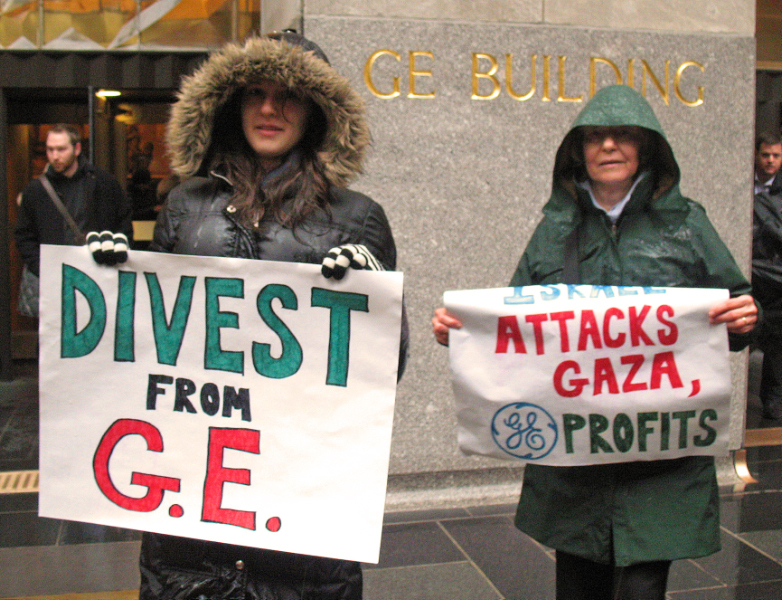 General Electric is also in the portfolio of pension-fund provider TIAA-CREF, which the growing national We Divest campaign is calling on to divest from companies that profit from Israel’s occupation. 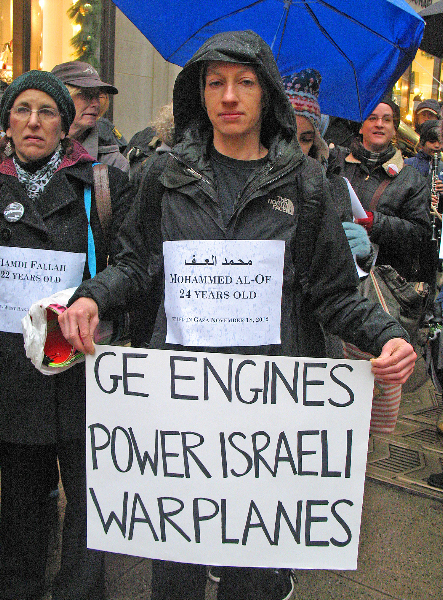 “GE engines have been used in Israeli Helicopters and F16s to inflict indiscriminate violence against Palestinians in Gaza, resulting in death and destruction. 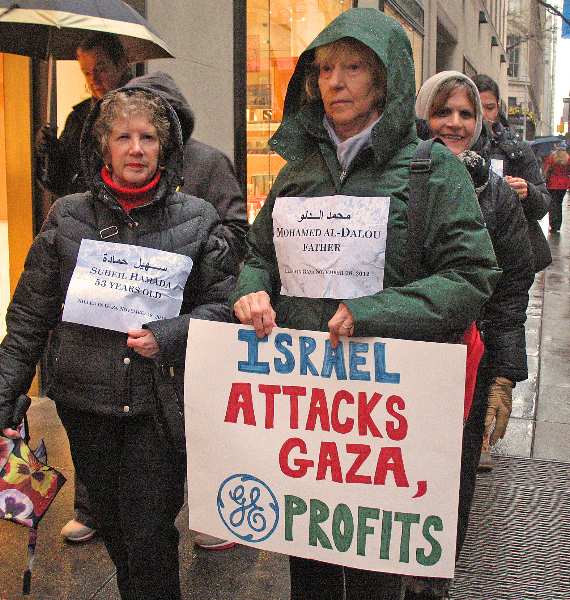 As American Jews, we believe it is critically important to participate in the movement for justice in Palestine/Israel and join in the boycott of all GE products,” asserted Ray Wofsy of Jews Say No! Israel still controls the air space, commerce, and water and electricity supplies in Gaza, as well as outlets to the Mediterranean Sea. 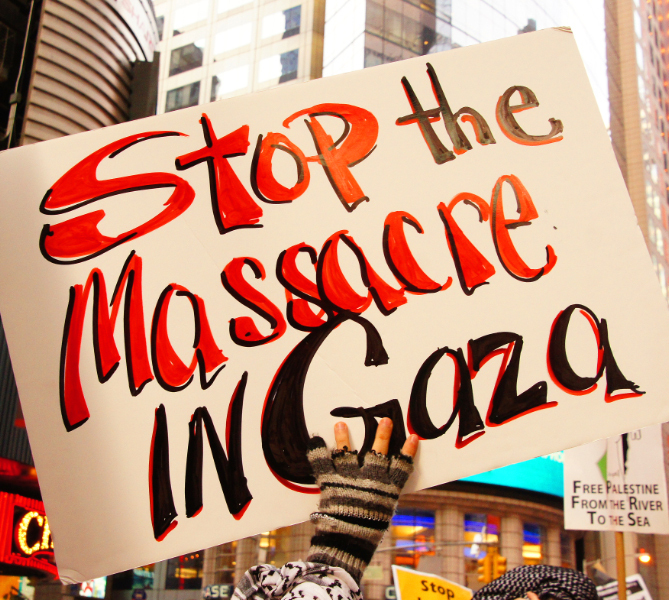 This siege of Gaza is condemned by a majority of the world’s nations. 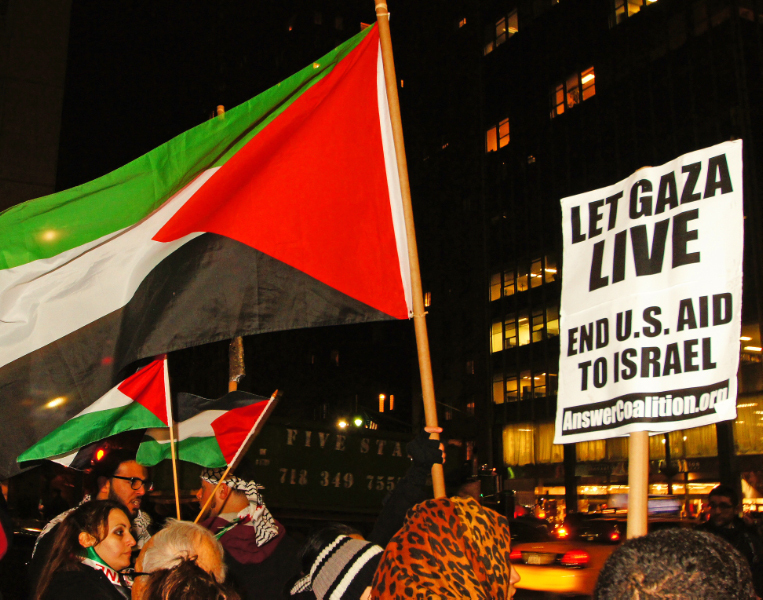 Notwithstanding that the U.S. is obliged to uphold principles of international law, it contributes $3 billion from our tax money every year to support the Israeli military and to perpetuate the unlawful siege of Gaza. The latest Israeli assault on Gaza left at least 170 Palestinians dead and 1000 injured, and six Israelis dead and dozens injured. Gaza’s infrastructure was extensively damaged. 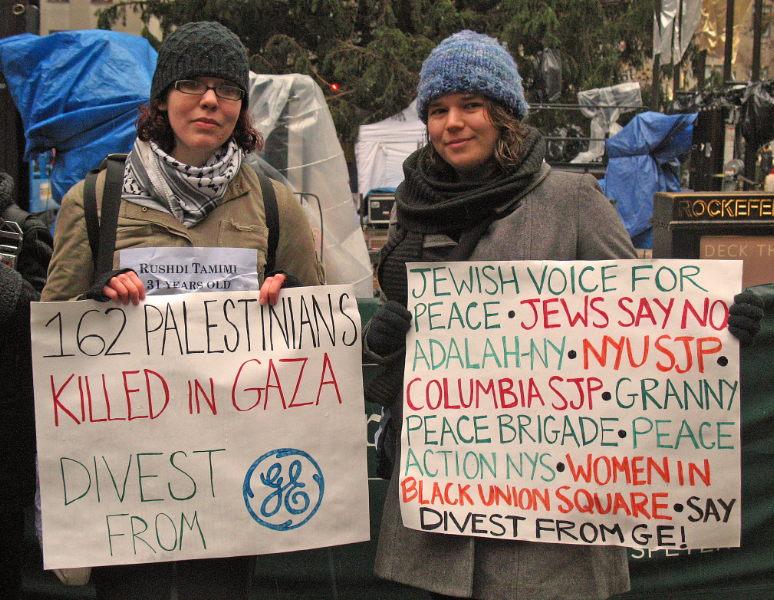 The protest was cosponsored by Jewish Voice for Peace-NY, Adalah-NY, Jews Say No!, NYU Students for Justice in Palestine, Columbia Students for Justice in Palestine, Granny Peace Brigade, Women In Black Union Square, Peace Action of New York State. 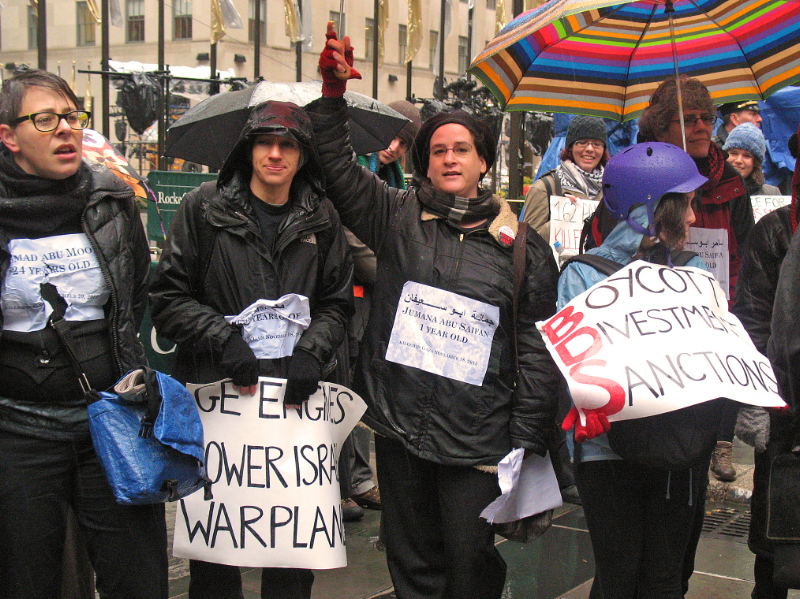 It’s more than just camping out in New York’s parks … it’s helping the 99% help themselves! The social media savvy that helped Occupy Wall Street protesters create a grass-roots global movement last year is proving a strength as members fan out across New York to deliver aid. 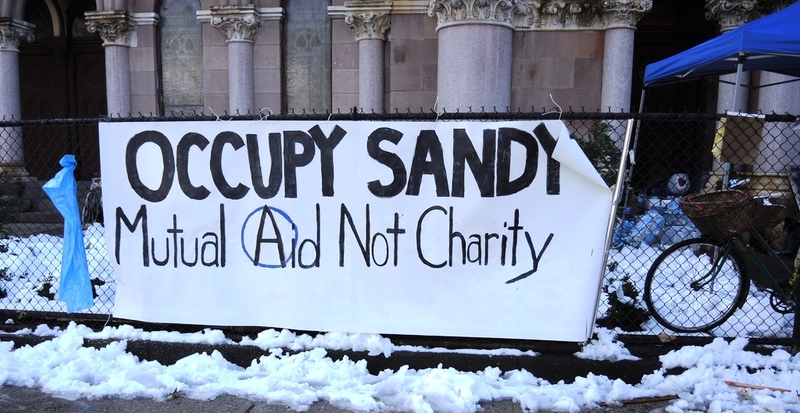 You might be surprised at what has become a lauded and effective relief organization for victims of Superstorm Sandy: Occupy Wall Street. The social media savvy that helped Occupy protesters create a grass-roots global movement last year – one that ultimately collapsed under its leaderless format – is proving a strength as members fan out across New York to deliver aid including hot meals, medicine, and blankets. They’re the ones who took food and water to Glenn Nisall, a 53-year-old resident of Queens’ hard-hit and isolated Rockaway section who lost power and lives alone, with no family nearby. If murderous criminality is the modus operandi of Israel ‘s treatment of its Palestinian victims, lying is Israel’s shield against international condemnation. In addition to plain murder, Israel has been indulging in outright propaganda based on lies in the attempt to justify its genocidal killing spree in the Gaza Strip. 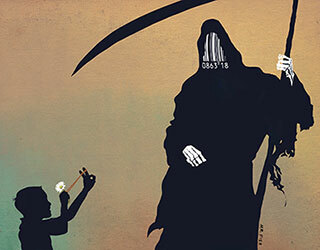 In the final analysis, killing and lying go hand-in-hand. I asked what the difference was since killing knowingly is killing deliberately. Facing my persistent questions, the army spokeswoman eventually told me she was not an expert on linguistic sophistry, and that as far as she was concerned, the Israeli occupation army didn’t have an established policy of targeting innocent Palestinians. The truth of the matter is that Israel does have a long established policy of targeting innocent civilians, whether in Gaza or the West Bank or South Lebanon. But mistakes happen once, twice or 10 times. When “mistakes” occur numerous times and on every day and in every round of war, it means “mistakes” are an established policy pursued consciously. In 2006, the Israeli air force reportedly dropped 2-3 million cluster bomblets on southern Lebanon. This huge number of deadly time bombs is enough, at least theoretically, to kill 2-3 million Lebanese children. This is half a holocaust by Zionist standards. Does Israel expect humanity to be so naïve to believe that this intended genocide of Lebanese civilians was planned and executed by mistake? In reality, Zionists consider the rest of humanity too sheepish or gullible to discover their lies. This is why the bulk of Zionist rabbis believe in Jewish supremacy. Take, for example, Ovadia Yosef, the religious mentor of the Haredi Shas Party. Two years ago, Yosef was quoted as saying during a Sabbath homily that Gentiles (non-Jews) are effectively donkeys that God created solely in order to serve Jews. Yosef is not a demented or marginal rabbi. He is a former chief rabbi of Israel and has hundreds of thousands of loyal followers. Moreover, his party is a kingmaker within the Israeli political arena. Israel benefits from a huge network of Zionist-owned or Zionist-influenced media, extending from Sydney to California. These mouthpieces of Zionist lies have a premier function to perform as far as Israel is concerned: to turn big lies into virtual truths glorified by thousands. This week, Israeli Prime Minister Binyamin Netanyahu, a habitual and pathological liar, asked a German official the following: What would Germany do if its capital was hit with wave after wave of rockets? Of course, the German minister didn’t have the courage to tell Netanyahu that Israel is founded on a pre-existing country, that its founders, including Zionist terrorists, destroyed Palestinian homes, obliterated Palestinian villages, murdered Palestinian children and expelled hundreds of thousands with no chance of return. This is the reason Palestinians fire rockets on Israeli towns and settlements. Indeed, even if the German minister had the rectitude to challenge Netanyahu, he probably wouldn’t dare say what should be said lest he lose his job and be ejected from his party, or worse. In truth, Zionist lies have a beginning but have no end. Zionists claim they didn’t expel the bulk of the Palestinian people from their ancestral homeland when Israel was established in 1948. Listening to these obscene lies, a stranger who knows nothing about the conflict would probably think that the Palestinians left their homes because they got so bored that they needed an opportunity for recreational activities outside Palestine. The Zionists also claim that they are only responding to Palestinian provocations, namely the firing of projectiles on Israeli towns and settlements. Israeli spokespersons even dramatise these lies by asking Westerners how would they feel and react if their citizens were showered with thousands of rockets. The truth, which much of the international media, including agenda setters such as CNN, the BBC, CBS along with The New York Times, The Washington Post, and even Le Monde, ignore is that these inaccurate projectiles are nearly innocuous and are absolutely no match for Israel’s state-of-the-art technology of death, such as F-15 and F-16 jets, Apache helicopters, unmanned predator drones, and laser-guided missiles fired from high altitudes on poor people’s homes, causing massacres and widespread destruction. The world needs to know the truth and stop being at the mercy of Zionist lies. So-called Palestinian missiles are the poor man’s weapon in the face of America and Israel’s most advanced arsenal. Indeed, were these Palestinian rockets “real weapons,” they would enable Palestinians to protect their children who are slaughtered by the dozen per day. 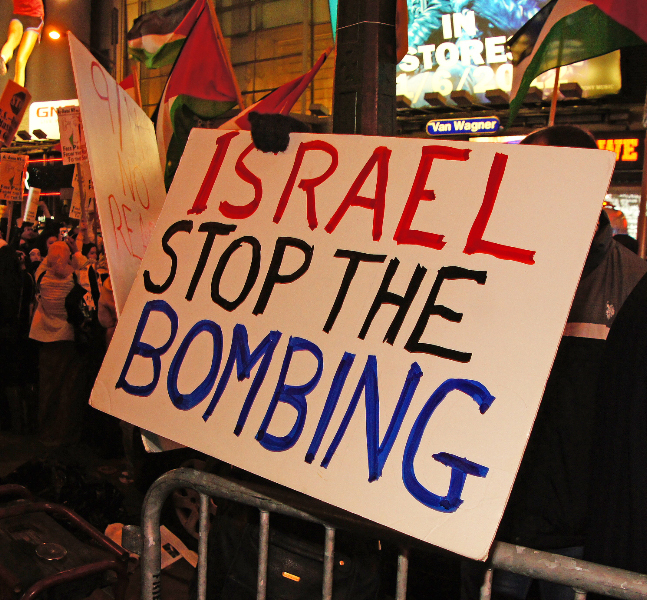 Indeed, a single bombing raid by an Israeli war plane, such as an F-15 or F-16, has more firepower and can inflict more damage and death than a thousand projectiles of the type fired from Gaza on Israel. This is not propaganda. 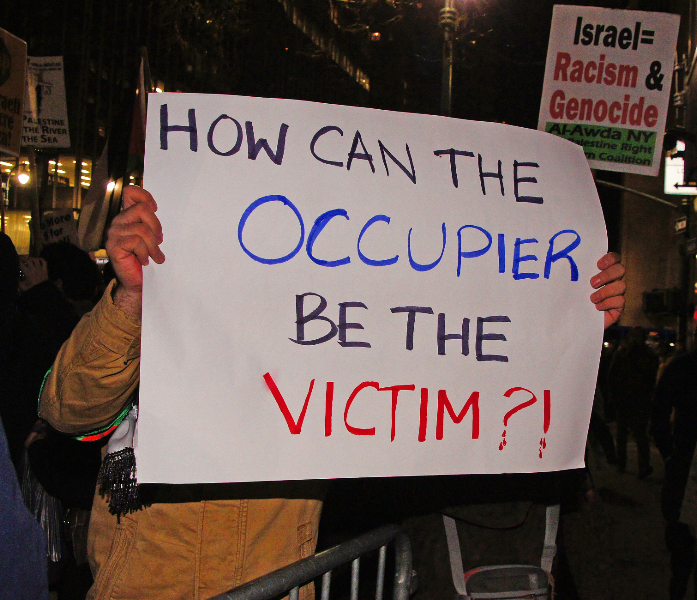 This is truth that is evident from the latest round of violence in Gaza. The Palestinians fired as many as 1100 “rockets” on Israel, leaving five Israelis dead and a few others injured. In comparison, as many as 150 Palestinians were killed in little over a week, 90 per cent of them innocent civilians, including more than 30 babies and toddlers, with 1200 others — also mostly civilians — injured, many of them seriously. This is not to mention the destruction inflicted on the already bombed-out Gaza. The Palestinians fire these projectiles because this is all they have to defend themselves and their children against a fascist enemy that is armed to the teeth and has the US government and Congress tightly under control. The use of these so-called “missiles” is an expression of desperation and weakness on the Palestinians’ part. But it is also an expression of Palestinian determination to gain liberty from an evil entity that only understands the language of force. Finally, the world should understand and internalise the historical fact that it was these terrorist thugs from Eastern Europe, such as Netanyahu and Barak, who invaded Palestine, terrorising and banishing its native people to the four winds. It is paramount to remember this fact everytime Israel claims it is only responding to Palestinian violence. Besides, we should also understand what the American-English poet Auden said. Stevie Wonder is set to perform at the Friends of the Israeli Defense Forces annual gala at the Hyatt Regency Century Plaza in Los Angeles on December 6. Wonder is scheduled to headline the event, which raises millions of dollars annually to support the Israeli Defense Forces. The event is the largest held yearly in support of the IDF across the world. The event is set to be hosted by Cheryl and Haim Saban and will be attended by more than 1,000 members of the Los Angeles Jewish community. Over the years, many of the world’s top artists have performed at the event. Last year, the gala was headlined by famed singer Barbara Streisand. Two years ago it was headlined by Italian tenor Andrea Bocelli. The guests of honor at the gala will include Friends of the Israeli Defense Forces National Director Major-General Yitzhak ‘Jerry’ Gershon, Friends of the Israeli Defense Forces Chairman Nily Falic, Friends of the Israeli Defense Forces National President Julian Josephson, Israeli-American businessman and leader of the Los Angeles Jewish community Eli Tene, and many others. Friends of the Israeli Defense Forces is a non-profit organization which has been operating in the United States for 31 years. It was founded by a group of Holocaust survivors who immigrated to the US to provide for the well-being of the men and women who serve in the Israeli Defense Forces as well as the families of fallen soldiers. The Israeli Defense Forces have recently been called to action to defend the State of Israel against the Hamas terror group in the Gaza Strip in what became known as Operation Pillar of Defense. The operation was launched after Israel came under constant and deadly rocket fire from the Gaza Strip. 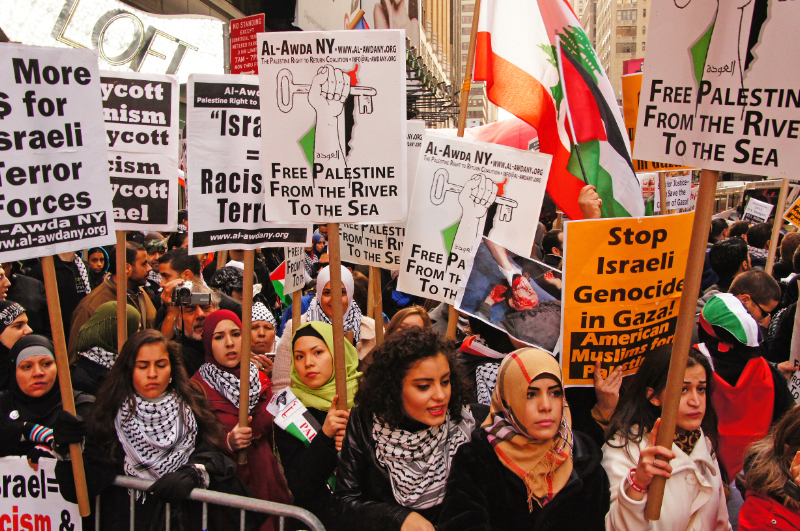 WHAT THE ZIONISTS HID FROM YOU IN THE NEWS LAST WEEK …. 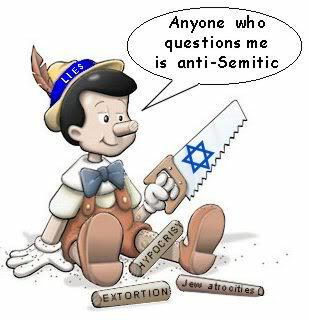 The favourite game of the zionists is called ‘hiding the truth’….. especially in cases where it hurts them. They lie about the facts and more recently just hide behind death masks to protect their image. 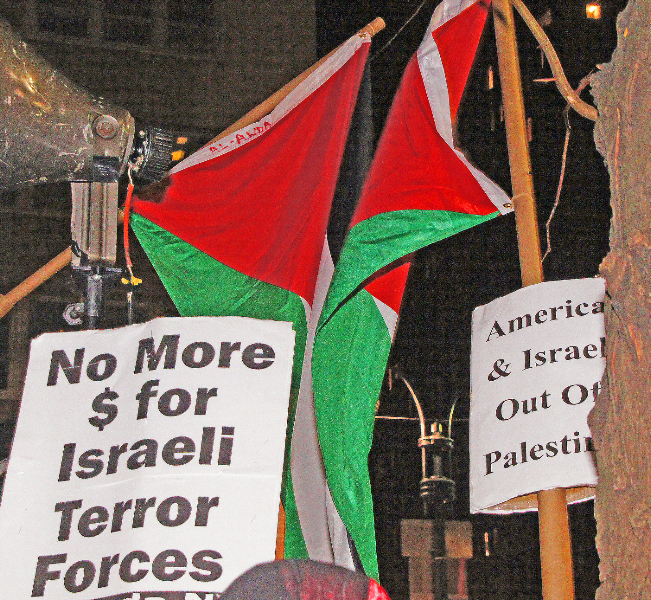 Also hidden from the Western eye were the protests that took place against the Israeli atrocities..
Our Associate and photographer Bud Korotzer was offline as a result of Sandy’s havoc … he finally got back last night. Here are a few photos he took at the demos in New York. 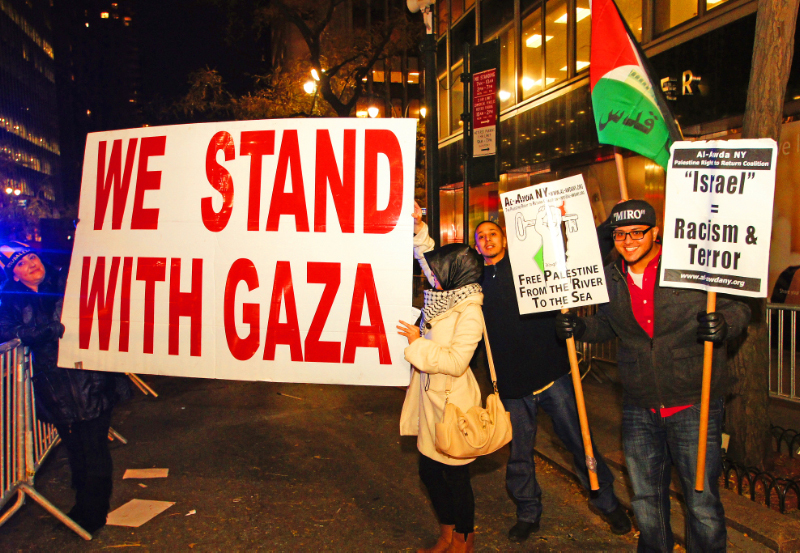 Despite their own suffering caused by the storm, New Yorkers still came out by the hundreds to stand in solidarity with the people of Gaza. Saturday evening I posted the following blurb and photo in what I called ‘Battle Hungry Israeli Soldiers show their frustration on camera’. It seems that the photo has gone viral on the Net …. which is a good thing, people should see for themselves what the people of Gaza were up against. 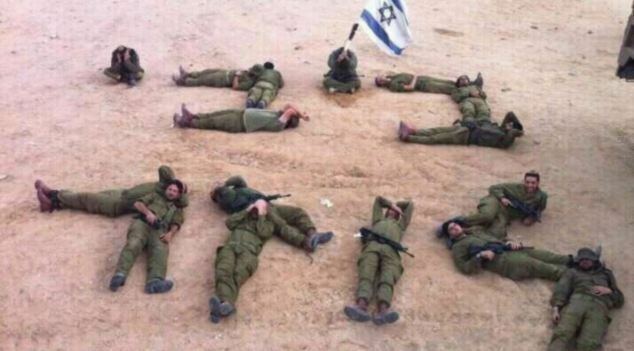 On Thursday, a group of Israeli soldiers published a photograph of some of their comrades lying on the ground, their faces clouded in defeat and exuding an air of brokenness. A short tagline attached to the image read, “Bibi is the loser”; it was uploaded onto Facebook and Hebrew media outlets. The photo has gone viral. This is not the only evidence of the sense of defeat felt by Israelis since yesterday’s announcement of a ceasefire between Israel and the Palestinian resistance movement. Hundreds of comments left by visitors to the sites are quite clear in their sentiments; and Israelis have no qualms about insulting their leaders in the most egregious terms. After a week of Israeli aggression during which the resistance fighters were able to respond with missiles targeting the Israelis’ most important cities, Tel Aviv and Jerusalem, and cause a serious explosion on a bus, Israel accepted their peace terms. The message you hear from the news media in the West is one sided … in fact, in most cases, the other side does not exist. 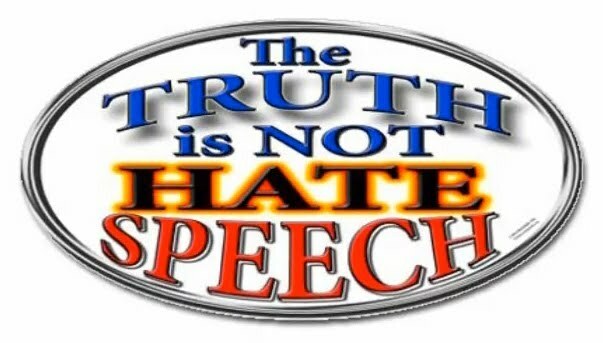 I am speaking specifically about news reports from the Middle East, all pro Israel despite whatever atrocities which might have been committed by them. 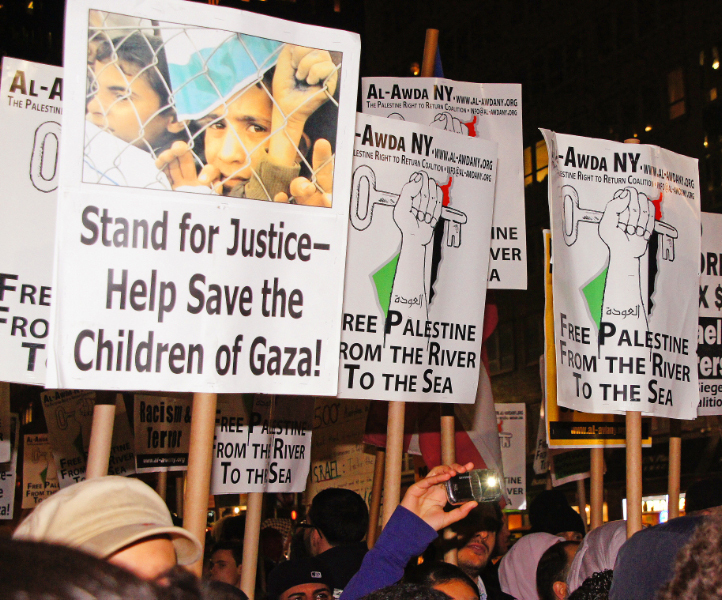 Palestine is assumed to be the bad guy no matter what the situation might be. The recent atrocities committed against the people of Gaza are the latest example of what the Western News Media wants you to see or hear. You mustn’t allow this to continue. Demand to know the truth! How and why is this possible? Is there not Freedom of the press in the United States? Are the people not allowed to see or hear the truth?? Not with organisations like AIPAC and the ADL running their campaigns of fear against those supposedly responsible for presenting the news as it really is. For over 60 years these groups have been conducting a campaign of fear against all news outlets. Fear of losing funding via advertising, fear of losing readership via vicious campaigns where charges of anti-Semitism go flying off the wall. But, did you ever stop to wonder how they achieve such power? It starts when a young person enrolls in a university. 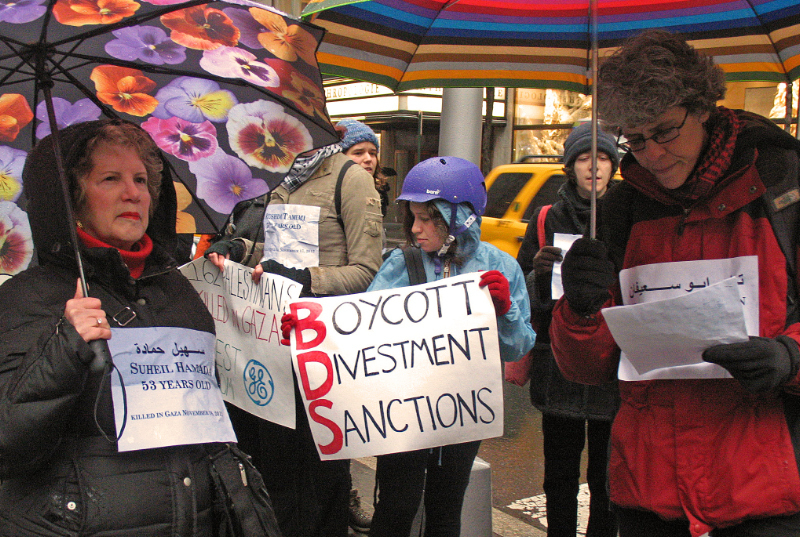 Every major university in the United States is ‘policed’ by agents of Hasbara. The subliminal message of zionism is guaranteed to be taught on those campuses. If anyone dares try to rock the boat they are silenced by a Dershowitz or someone of his ilk. There is room only for the pro Israel view on any situation. 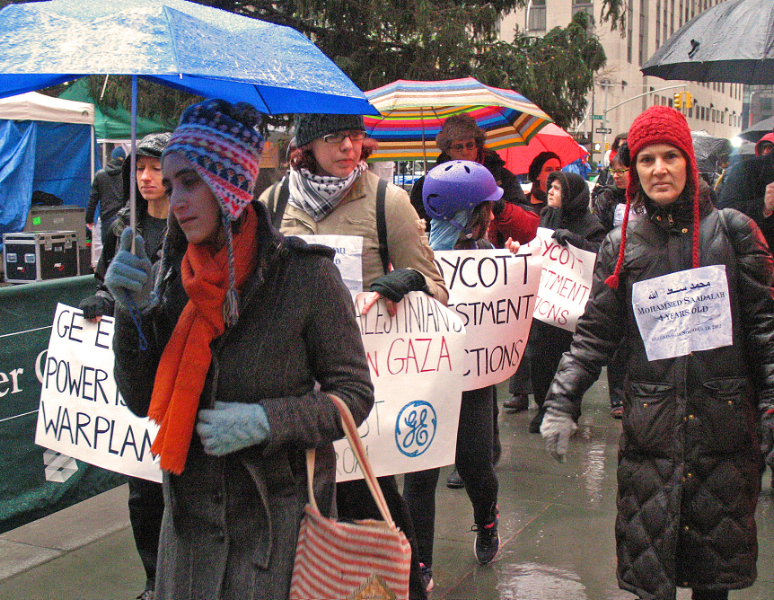 Cases in point were the denial of tenure to a Norman Finkelstein at DePaul University, the firing of Kristofer Peterson-Overton at Brooklyn College (later reinstated). Despite the reinstatement the fear factor remains, few dare to speak the truth as unemployment is imminent. On the other hand, zion gets its message out loud and clear. Roaming agents such as David Horowitz grace the halls of many a university, reaping a grand fee for his presentation of evil …. protested by many, but continuing nevertheless. Also on the Internet are marvelous sites just waiting to be clicked on. If you glance through the links on the left side of this page you will find many of those sites, including Blogs, News Agencies, etc … take a few minutes and visit those sites. Don’t be a victim of evil! In true zionist spirit, Israel is doing its darndest to make sure the ceasefire between itself and Gaza does not last. KHAN YUNIS, Gaza Strip — In the 12 years that he has lived here in the Abassam neighborhood adjacent to Gaza’s eastern border, Eyad Qudaih said, he had never ventured more than 20 yards east of his white stucco home because Israel said the area was off limits. But on Friday morning, emboldened by the new cease-fire, he took his four young daughters 300 yards east, to the small plot of land where he dreams of growing wheat as his father once did. But around 11 a.m., the moment was interrupted by the sound of gunfire. A spokesman for the Israeli military said soldiers had fired warning shots and then at the feet of some Palestinians who tried to cross the border fence into Israeli territory. 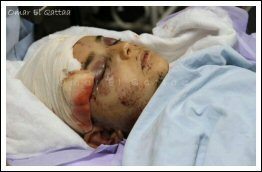 Mr. Qudaih’s cousin Anwar Qudaih, 20, was killed, and nine others were wounded, Health Ministry officials here in Gaza said. The episode, which happened at the same spot where an antitank missile fired by Palestinians hit an Israeli jeep, wounding four Israeli soldiers two weeks ago, did not fracture the truce that ended the recent fighting between Gaza and Israel. But it did showcase the confusion that remains over the cease-fire deal announced Wednesday in Cairo. While Hamas officials have been boasting about the concessions they say they have exacted from Israel, Israeli officials say nothing has been agreed upon beyond the immediate cessation of hostilities. On Thursday, the Israeli defense minister, Ehud Barak, said dismissively that Hamas’s main achievement so far was getting a document that was typed rather than handwritten. In substance, Israelis said that they agreed to discuss the border and other issues, but that those talks had not yet begun — and there did not appear even to be a mechanism in place for starting. But that was clearly not the understanding of the hundreds of Gazans who thought that they would have access to the so-called buffer zone, a 1,000-foot-wide strip of land along Gaza’s northern and eastern borders, that had for years been so tantalizingly close, and yet beyond reach. Palestinians flocked to the fence on Thursday and Friday because their leaders said the cease-fire eased what they call Israel’s “siege” on Gaza, including restrictions on movement in the so-called buffer zone, a 1,000-foot strip on Gaza’s eastern and northern borders. Hamas leaders said that was but one of the quality-of-life improvements that they had won. They also told their people that Israel would ease the three-mile limit on how far fishermen can venture from the coastline and the passage of people and goods through border crossings. But an Israeli government official said Friday that since no further talks had taken place, its policies had not changed. Health Ministry officials in Gaza said Friday that the Palestinian death toll from the fighting had grown to 167, not including Mr. Qudaih, as several people died of the wounds they had sustained in Israeli airstrikes. 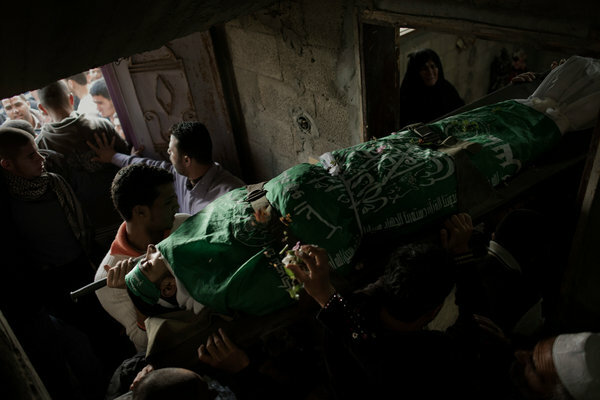 Six Israelis, two of them soldiers, were killed during the eight days of escalated fighting. That the killing on Friday did not incite other violence suggests that Hamas, the militant Islamic faction that won elections in 2006 and took full control in 2007, is not looking for reasons to return to battle. But Ahmed Yousef, a former adviser to the Hamas prime minister, said patience would be limited. The buffer zone was established in 2005, when Israel withdrew from the Gaza Strip, which it had occupied since the 1967 war. Human rights organizations say that Israel drops leaflets warning residents to stay out of the area, and that its security forces killed 213 Palestinians near the fence between September 2005 and September 2012, including 154 who were not taking part in hostilities, 17 of them children. Critics say Israel has classified broad sections of border land as a “no-go zone” in which soldiers are allowed to open fire on anyone who enters, which military officials have strongly denied. Witnesses, including Hamas police officers, said that about 2,000 people flooded this area of the buffer zone in celebration of the cease-fire on Thursday, and that as many as 500 returned Friday morning starting at 7. The Israeli military spokesman described it as a demonstration, but residents said people were just walking the fallow land their fathers and grandfathers once tilled. Some talked to the soldiers through the fence. They placed atop it a tall green Hamas flag and a smaller Palestinian one, a sight unimaginable here a few days — or a few years — before. One police officer, speaking on the condition of anonymity, confirmed that some crossed over a portion of the fence downed by the recent attack on the Israeli jeep and stood on the Israeli side. Eyad Qudaih, who lives in one of the few houses in the area, said that when he heard the shooting, “I took my girls and escaped.” By afternoon, his cousin was buried after a funeral procession featuring the flags of Hamas as well as the rival factions Fatah and Islamic Jihad, an echo of the post-conflict unity on display here at cease-fire celebrations on Thursday. Sgt. Ahmed Mahmoud of the Hamas police said about 2,000 officers had fanned out along the borders on Friday starting at 9 a.m. “to maintain the security.” In blue camouflage suits and navy jackets, they carried wooden sticks but no guns, which he said was part of the buffer-zone arrangement with Israel. By 1 p.m., more than a dozen Hamas police officers were arrayed along the fence, closer than they have dared go in years. Perhaps 50 yards away, on the other side, an Israeli soldier stood behind the open door of his jeep. The crowds were gone, but a few children ran more freely in the field than they had ever before, one carrying a Palestinian flag. Their parents and grandparents talked outside, contemplating the fence and whether they would indeed be free to approach it today, tomorrow, next week. Jodi Rudoren reported from Khan Yunis, and Isabel Kershner from Jerusalem. Fares Akram contributed reporting from Khan Yunis, and Gaia Pianigiani from Rome. Spelled out below are the words ‘Bibi Loser’ in Hebrew letters. It shows the anger and frustration of many an Israeli soldier that was prepared to wipe out all of Gaza’s population. Hopefully those words will resound in the upcoming Israeli election…. with headlines saying BIBI LOSER! “We think and we talk about everything else in the world, but the one thing that connects us all together is war,” she said. Children in Gaza describe living under Israeli siege and attacks as worse than being in prison. BEIT LAHIYA, GAZA – The only protection the Awajaa family has against the Israeli rockets is a thin tarpaulin, stretched out over a small plot of land. The tent, where they have been living on and off since their house was turned to rubble in the 2008-09 Israeli war on Gaza, is one of the first houses on the border, located a mere few hundred metres away from Israel. “We are the first people to be attacked, and we are the people who can’t escape, as it is just empty lands around us,” said 15-year-old Omsiyat, the eldest of seven children. Omsiyat considers her family and neighbours also to be victims of Israeli aggression, as their proximity to the border forces them to be one of the most vulnerable targets of attacks. 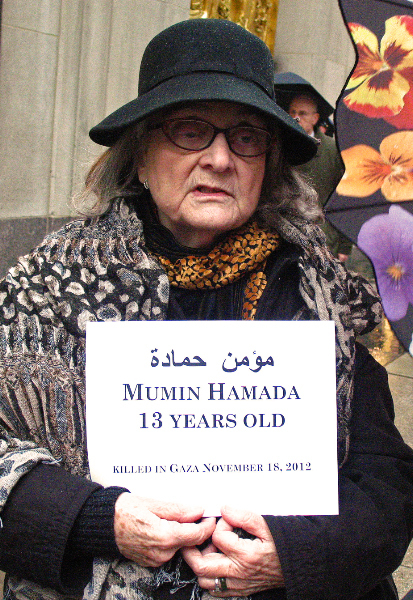 “This is not a victory, because [the Israelis] are destroying Gaza,” she said. “Yes, we scared them, but they still inflicted damage on us. This is not how we have a victory. The Israeli attacks on Gaza, which lasted eight days and came to an end with an Israeli-instigated ceasefire on Wednesday evening, killed a total of 162 Palestinians, including more than 40 children. In Omsiyat’s opinion, the armed resistance, while having made some achievements, also put civilians in a very dangerous situation, making them the largest casualties of the war. While Gaza is often described as an open-air prison due to the crippling siege imposed by Israel, she says the word “prison” is not enough. “If there was a stronger word than prison, then this is where we are. In a prison you can move around, here you cannot,” she said. Awajaa, Omsiyat’s mother, described how her children would clamber on top of her as the missiles fell around them, too afraid to sleep. Four-year-old Zakriyat would cry all the time, insisting her parents lie next to her. 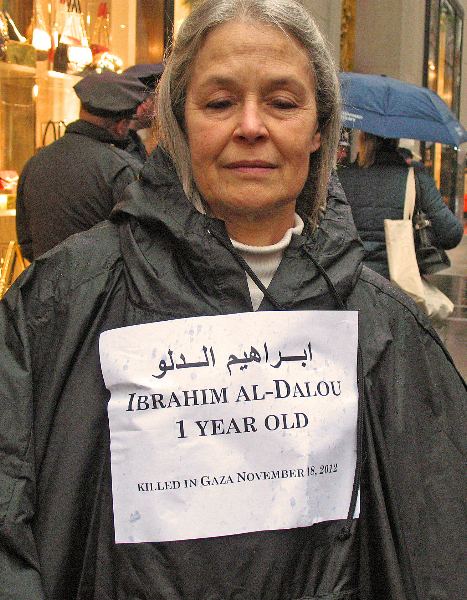 Ten-year-old Hala spent most of the time under a blanket. Three-year-old Layali would be too afraid to move from the bed to the kitchen for food. Six-year-old Diaa, who suffers from hearing and speech problems as a result of the 2008-09 war, has started wetting the bed. For 11-year-old Khadra Al Daaour and her five siblings, the fear and sleepless nights were bearable, knowing the Israelis were more afraid than they were. “We tried to make ourselves calm, we would draw, we would write, we would make our mother tell us funny stories,” she said. 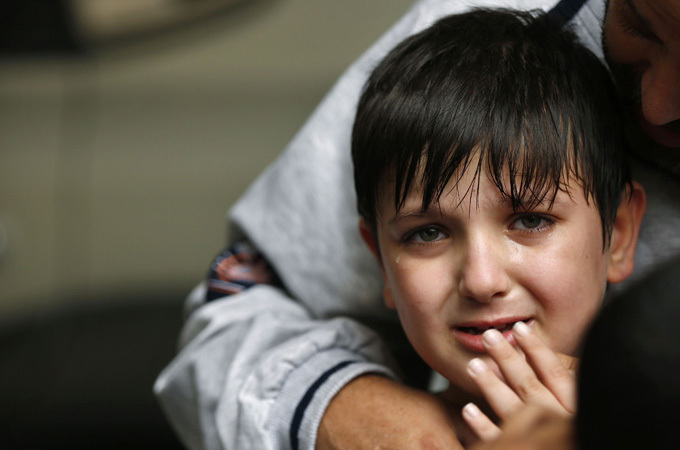 “Of course we were scared, but the Israelis were more scared. 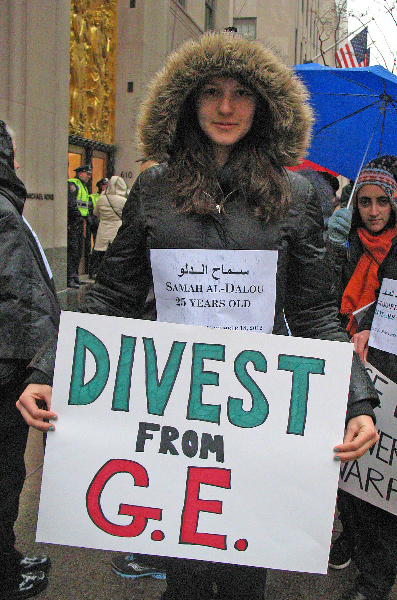 Her 13-year-old sister Sana was keen to point out the situation for the children of Gaza is unique in comparison with children elsewhere in the world. For her, they are forced to mature beyond their years. “We are older than our age because we have to take care of each other in these situations,” she said, explaining that despite this fact, there are still psychological issues as a result. “Right now, we’re making fun of the fact the Israelis were more scared than us,” she said, giggling. Mustafa El Masri, a psychiatrist who works with the World Health Organisation, said in such hostile and abnormal situations, it is important for parents and teachers to keep talking to the children, explain to them what is going on, and listen to what they have to say. “Depending on the age of the child, parents need to explain what is going on in very honest terms, and to correct misconceptions rather than impose certain views,” he said. There are two stages of reaction after such hostilities; the biological, which focuses on self-preservation, and the “meaning-making” stage, where children attempt to digest and understand what has happened, what their role is, and why they are in such a place. For him, the most important is that parents do not lie to their children, as this is the moment when children are attempting to build their own concepts and values. He was keen to point out that having open discussions with children does not equate to normalising conflict and war. Omsiyat, who wants to be a journalist when she grows up, knows the experiences they have shared among themselves as children will remain with them forever. 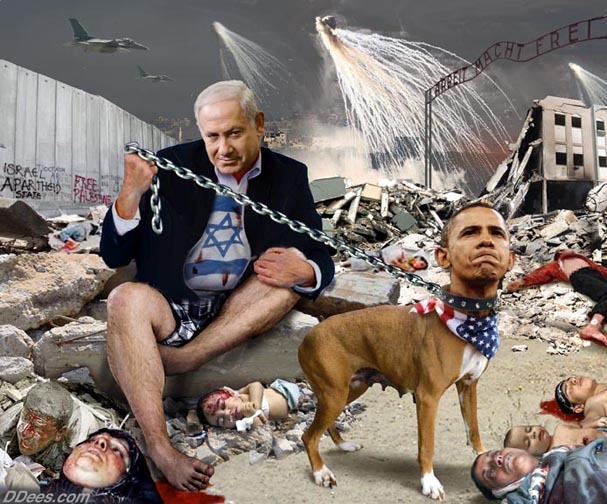 The following from the archives is from a few years ago, but its message is for today..
Western zionists are waking up in the middle of the night screaming, rattled by the same bad dream…. a dream called Israel. They are worried that their ‘little Democratic entity’ in the Middle East is being threatened by world opinion. Every day my in-box is flooded with spam mails from zionists. This afternoon one arrived, one that I thought should be shared. It originally appeared in the Wall Street Journal, written by a non-Jew. May their nightmares continue until the nightmare they created for the world ends! Of course not….. why would people think otherwise? One of the world’s oldest stories is playing out before our eyes: The Jews are being scapegoated again. One reason for this is that the entire Western world has suffered from a deficit of moral authority for decades now. Today we in the West are reluctant to use our full military might in war lest we seem imperialistic; we hesitate to enforce our borders lest we seem racist; we are reluctant to ask for assimilation from new immigrants lest we seem xenophobic; and we are pained to give Western Civilization primacy in our educational curricula lest we seem supremacist. Today the West lives on the defensive, the very legitimacy of our modern societies requiring constant dissociation from the sins of the Western past—racism, economic exploitation, imperialism and so on. When the Israeli commandos boarded that last boat in the flotilla and, after being attacked with metal rods, killed nine of their attackers, they were acting in a world without the moral authority to give them the benefit of the doubt. 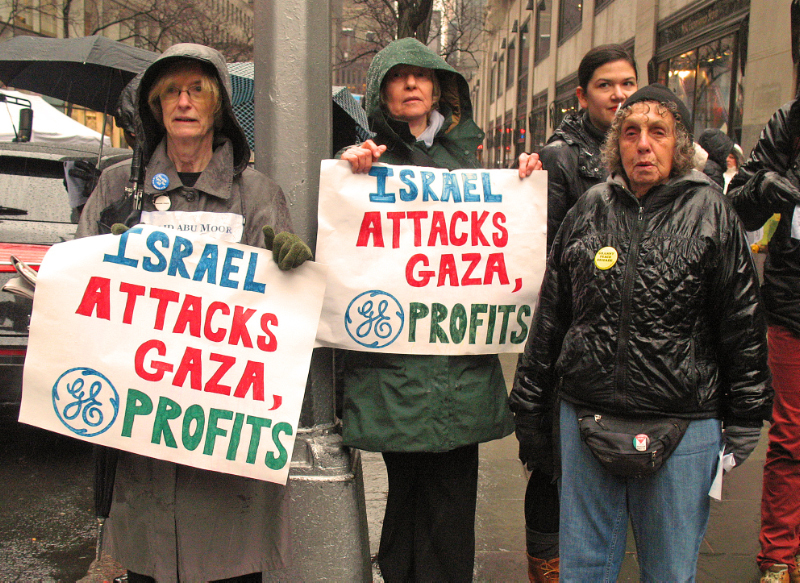 By appearances they were shock troopers from a largely white First World nation willing to slaughter even “peace activists” in order to enforce a blockade against the impoverished brown people of Gaza. Thus the irony: In the eyes of a morally compromised Western world, the Israelis looked like the Gestapo. And this recalcitrance in the Muslim world, this attraction to the consolations of hatred, is one of the world’s great problems today—whether in the suburbs of Paris and London, or in Kabul and Karachi, or in Queens, N.Y., and Gaza. The fervor for hatred as deliverance may not define the Muslim world, but it has become a drug that consoles elements of that world in the larger competition with the West. This is the problem we in the West have no easy solution to, and we scapegoat Israel—admonish it to behave better—so as not to feel helpless. We see our own vulnerability there. Mr. Steele is a senior fellow at Stanford University’s Hoover Institution. 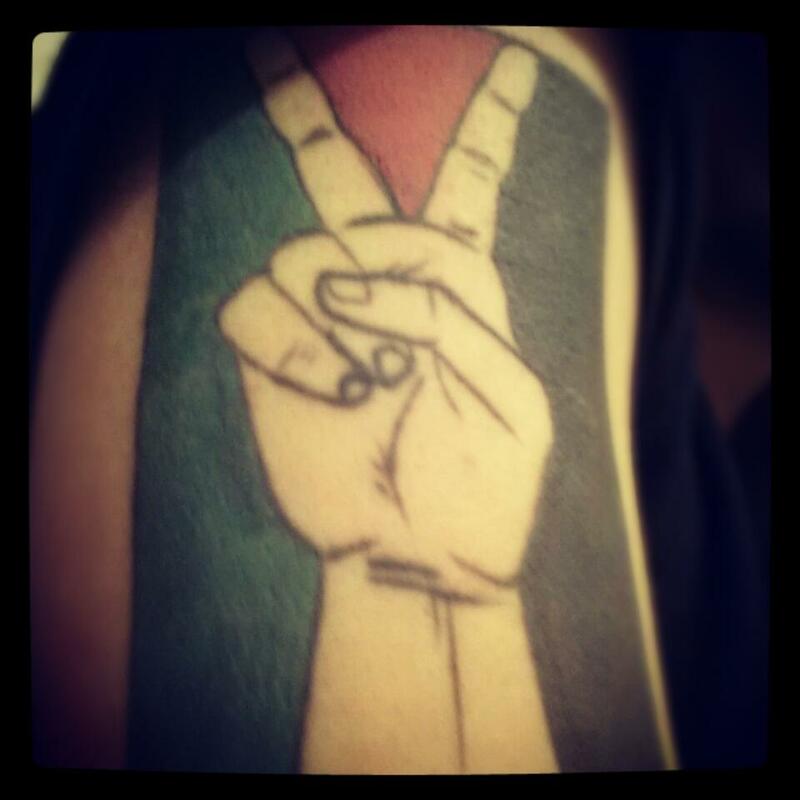 Hopefully the truce declared between Israel and Gaza will last longer than THIS one did …. Article 4. 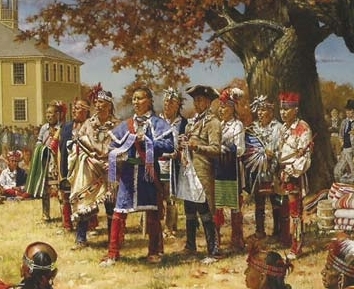 The United States having thus described and acknowledged that lands belong to the Oneidas, Onondagas, Cayugas, and Senecas, and engaged never to claim the same, nor to disturb them, or any of the Six Nations, or their Indian friends residing thereon, and united with them, in the free use and enjoyment thereof; now, the Six Nations, and each of them, hereby engage that they will never claim any other lands within the boundaries of the United States, nor ever disturb the people of the United States in the free use and enjoyment thereof. I have recently had a religious epiphany. I have decided to convert to the Sun Dance faith. This is a religion practiced by many of the North American native people for thousands of years. It’s easy to be a Sun Dancer; you can see the Sun! That’s a definite plus compared to religions relying on that imaginary playmate in the sky.I have long felt a kinship with my newly adopted religion and people as you can see in this photo of myself and my wife from the early 1990s. In the spirit of traditional naming custom I have taken an aspect of my life as a blogger and adopted my new Native American name, “Types With Tired Fingers.” Because I am now religiously connected with the original people of the North American continent, who have been there for thousands of years, I hereby call on the United States Government to withdraw and return this land to its rightful traditional owners, myself included. After all, “We” were here first! And it is. 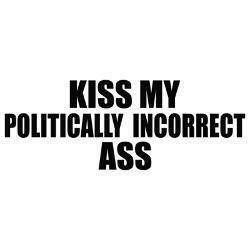 My actual ancestry is a blend of Sephardic, French, and English. There is a family legend regarding a teensy bit of Huron blood, but no real documentation to support it. I am not actually a Native American. And pretending to their religion does not make me one. Yet this very same silliness underlies the Israeli claim to Palestine. The Jews who migrated to Palestine after World War 2 are not descendants of the Hebrews you read about in the Bible. They are descended from Khazars in central Asia, near present-day Russian Georgia, who converted to Judaism in 800AD. Khazaria fell a century later and the descendants of the converted Jews migrated northward into Russia and west into Europe. This group of Jews, called Ashkenazi, are not descended from any of the 12 tribes described in the Bible. DNA tests confirm this, as does their pale skin that makes it clear they are not originally from the Middle East. Thus, Israel’s claim to the lands of Palestine rests solely on the fact that they have adopted the religion of a people who lived on that land thousands of years ago. One might just as easily adopt the religion of Ra and on that basis lay claim to Egypt. Of course, common sense says that simply adopting the religion of the Sun Dance does not give me a claim to the lands of the United States. Were I to worship Ra (or Aten), likewise does not give me a claim to the lands of Egypt. Worshipping Sol Invictus does not give me claim to Italy. And worshipping Yahweh does not give the Khazars any real right to Palestine. Hopefully, this year, we can all be thankful. Looking forward to the day when all of humanity can celebrate as one big family. If you get the urge to sing along….. here are the lyrics…. 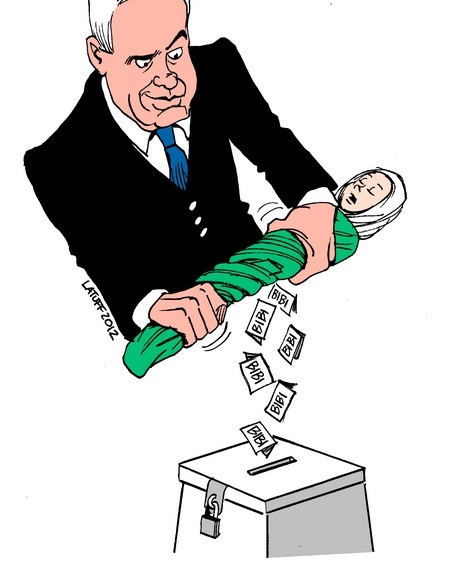 A prominent Jewish leader who has twice been named by Newsweek at the “most influential Rabbi in America” has blasted theHuffington Post internet newspaper for running a cartoon by a notorious anti-Semite, which depicts Israeli Prime Minister Benjamin Netanyahu wringing an Arab infant as ballots with his name on them fall from the child’s body. 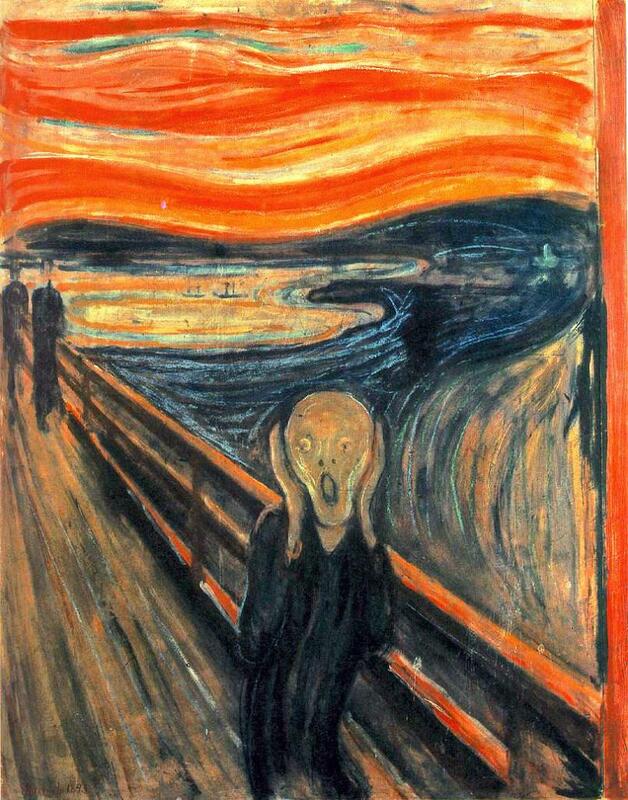 The cartoon in question …. This is not the first time our dear Carlos was attacked by zionists including Israel’s ruling party, The Likud, which declared a ‘Jewhad’ against him a few years ago. His never-ending support for the people of Palestine did not end then, it won’t end now …. OR EVER! The article slamming him and the Huffington Post can be read HERE ….. and, BTW, Kudos to them for publishing the cartoon in the first place. Latuff’s response reminds me of the response another great artist made a few years ago; Pete Seeger was called up in front of HUAC (House Un-American Activities Committee) to answer questions about his alleged involvement in Communist causes. His response was “I’d like to take this opportunity to sing you all a song I just wrote”. And so Carlos as well answered his attackers the best way he knows how, with a cartoon…. A wonderful article supporting Carlos can be read HERE. More comments on Twitter can be found HERE. As said by Roy Bard in the above link; Whether the Huffingtom Post will have the guts to stand up to the petulant holy man remains to be seen.Yet another attempt to stifle debate and shut down criticism. Yawn…..If only Marv and his tribe could find it in themselves to get as upset over the slaughtered babies, there might be no need for such cartoons in the future. 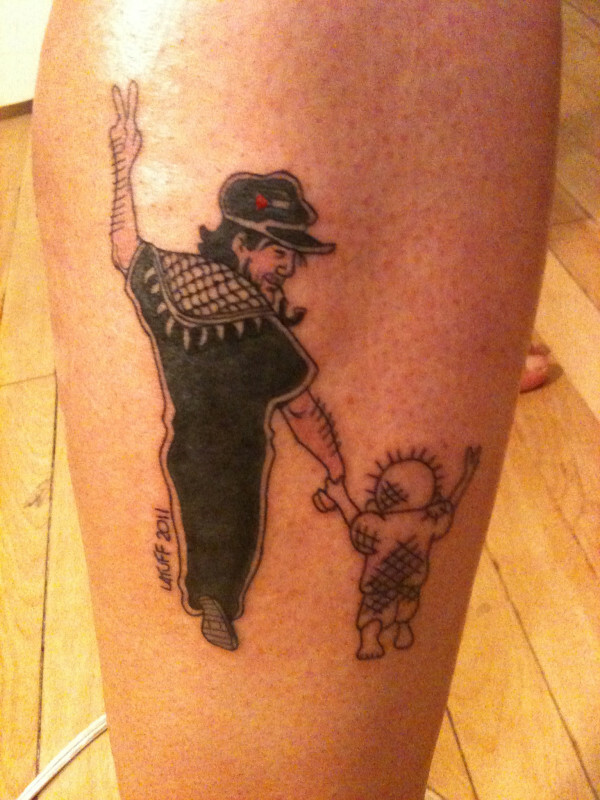 Be assured that DesertPeace will stand up to any enemy of the Palestinian people and will continue to publish the wonderful works of our Associate Carlos Latuff! The Israeli mayor of Upper Nazareth, a town in the Galilee, has demanded that the adjacent city of Nazareth be declared “hostile” to the state of Israel, and its predominantlyPalestinian population, who are citizens of Israel, be expelled to Gaza.